Little Kids Motorized No-Spill Bubble Blastin' Plane $6.99 Down From $19.99! Ships FREE! You are here: Home / Great Deals / Little Kids Motorized No-Spill Bubble Blastin’ Plane $6.99 Down From $19.99! Ships FREE! 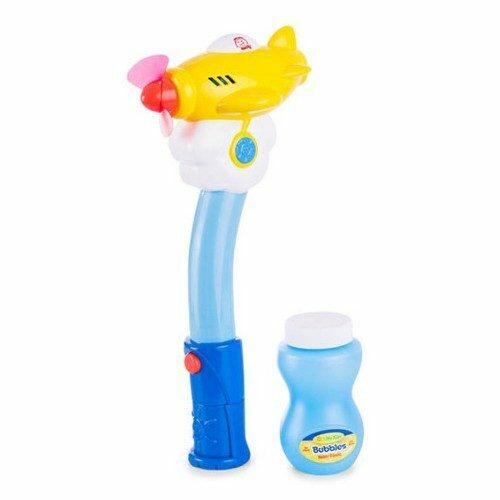 Little Kids Motorized No-Spill Bubble Blastin’ Plane $6.99 Down From $19.99! Ships FREE! GearXS has this Little Kids Motorized No-Spill Bubble Blastin’ Plane on sale for $6.99 (Reg. $19.99) + FREE shipping! Young pilots will be fascinated by all the fun action of Little Kids Motorized No-Spill Bubble Blastin Plane. By holding the joystick handle, kids can run around the backyard and produce an endless jet stream of tiny bubbles with no dipping and no messy spills. The Bubble Blastin Plane is complete with a spinning propeller and 4 oz. of Little Kids bubble solution (included). It requires two “AAA” batteries (which are NOT included).